This Sony Xperia ZL L35h LCD assembly replacement part consists of the LCD Screen and digitizer touch screen and front glass already attached. The Xperia L35h display is protected by the shatter proof and scratch-resistant glass. This Sony ZL L35h LCD display assembly is in OEM condition. logo is printed on the front glass upper part of this Xperia ZL L35h part. Both one Logo version and two logo version are available here. Please choose the right version before placing the order. 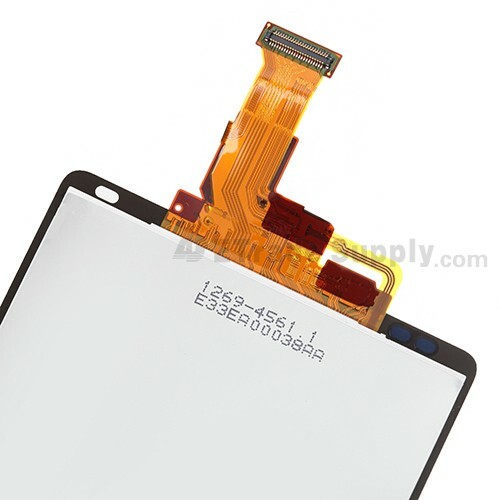 The installation of the Sony Xperia ZL L35h LCD screen and digitizer assembly should be done by a qualified person. ETS is not responsible for any damage caused during installation.